On 12th . 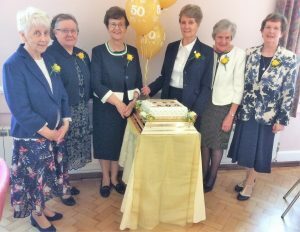 June Six Sisters celebrated the Golden Jubilee of their Religious Profession at Maryfield, Roehampton where they made their first profession in 1968. Three other Jubilarians of 2018 joined the celebrations as well as a further fifty Sisters from different parts of the World. 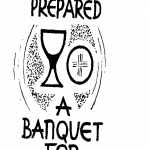 The programme for the day, centred on Mass celebrated by Bishop John Crowley, included plenty of time for conversation and remembering, delicious meals, evening prayer, and a lively participative entertainment. The active jubilarians minister in USA, UK, Ireland. We wish them many more years of fruitful and joyful service of Mary our Mother.